AfterShokz are the only official headphones chosen by England Athletics. Nothing in/on/over your ears. Their open ear design makes it safer for running, cycling and driving. Trekz Air are about 3cm smaller than Trekz Titanium. 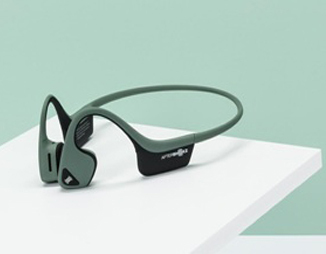 Bone conduction technology delivers music through your cheekbones and your ears remain completely open to hear ambient sounds.